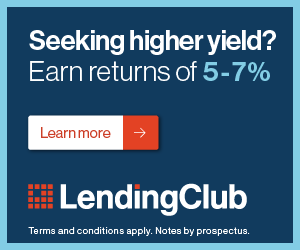 In Part 1, we examined the initial part of the process that Lending Club goes through when we have the occasion of a loan that does not pay on time. We looked at the Grace Period and the Early Late period and some corresponding tips on how to manage our loan portfolios at these stages. While the generic 'Late Period' encompasses all lates from 31 to 120 days past due, there are some severe differences for our portfolio. Here is how the periods break out and what we need to pay attention to at these periods. In this period, there is escalating action where one of the 6 collection agencies gets involved and a demand letter is sent requesting payment to bring the loan back up to Current. Advanced Skip Tracing and Asset search techniques are also used to see that our borrower hasn't just skipped town. Most importantly, in the 6 months between April and October 2012, 21% of loans at this stage move from 31-60 days past due back to a more favorable status of either 0-30 days past due, Current or Paid Off. However, 74.4% of these loans move further behind to 61-90 days past due. At this stage only 0.1% Default and only 4.4% are Charged Off, which is still a pretty low number. Tip #1: Watch your loan portfolio diligently to see if your loan moves in the 31-60 day late stage. This is the last stage where there is still a strong (better than 50%) likelihood that your loan will pay off. In this period the escalation continues and we hit a very important place. This is the magic number. At this stage, we have the first chance where we are unlikely to get repaid on our loan. At 61-90 days past due, we now have a greater than 50% chance of not getting repaid. 44.7% of loans that reach this stage Default and 13.2% of loans in this stage are Charged Off. Together, this means over half, 57.9% of loans to be exact, will either Default or become Charged Off if we reach this stage. Tip #2: Even if you don't actually write the loan off at this point, in your mind you should. The likelihood of payback is too low to think they will catch up. Tip#3: Since the likelihood of payoff is low, this may be a good point to sell your note and get what you can for it and write off the difference (loss) in principal from the sale. It pays to understand the secondary market for loans and how it works. What's important to know in these ranges is that the likelihood of these loans paying off drops significantly. It does happen but its under 2% for all loans in these 2 stages. This makes sense as those able and/or likely to pay will be doing so and will have made the loan Current by now. Chargeoff is the post 120 days past due. At chargeoff, LC considers the loan to be uncollectible and sells it to a collection agency to try to collect the money. Per LC, a chargeoff is not required if it's expected that the defaulted loan (either through legal action or payment plans or through other means) will result in the recovery of the loan balance or restore the loan to Current status within the next 90 days. Bankruptcies will be charged off at 60 days from the date of notification from the BK Courts or 120 days late delinquent, whichever comes first. Tip #4: When people ask you if peer to peer loans are safe even though they are unsecured loans, here is a stat you can give them. 24% of Total Chargeoffs are related to personal bankruptcy filings. This is good for us. It means that people who are willing and able to pay, usually do so. Lastly, a borrower showing the willingness to pay but a temporary inability to do so can get put on a Temporary Payment Plan. This is something to look out for as it is an indication that our borrower wants to pay off and may be able to get back Current. So to sum up the collections process at Lending Club, we have LC doing the servicing but advice and work from professionals in collections once the loans move to 30 days late. We have a magic number at 61 days where our loan turns from likely to be paid off to unlikely to be paid off and we have reporting to all the major credit bureaus, a big advantage since most people with good credit understand the value of maintaining that good credit.